Whatever platitudes our politician’s come up with to justify their negligent lack of investment in energy efficiency and low carbon supplies, I believe that we must now accept the inevitable; the cost of running our homes is likely to increase dramatically! In response to this I believe that the FutureHaus will be sold not on what it cost to run but instead on the energy yield and income that they can deliver to occupants. I believe that the design of the home is on the threshold of a period of rapid and dramatic change. Energy costs and concern regarding energy security, coupled with technological innovation will see the home moving from a consumer to a producer of energy. Smart systems will store excess energy in household appliances including hot water cylinders, fridges and freezers and new technologies will make battery back-up an affordable option to run the home overnight. A new generation of small scale, building integrated wind turbines, concealed in roof ridge tiles, will silently and invisibly harness the wind to provide the majority of power during the winter months. Even human waste will be processed within the home by small scale anaerobic digesters, designed to look like other domestic appliances, that can be integrated into the interior of the home and provide both heat and power, along with limitless amounts of compost to feed the organic fruit and veg grown in the rooftop allotment. The major challenge of our age will be the retrofitting of our existing building stock; 80% of which will still be in use by 2050. This represents a massive opportunity for trusted organisations to offer customers the advice and help that they require to bring their homes up to the carbon positive standards required. As new green technologies mature, their costs will reduce making them affordable solutions for the vast majority of customers. We will need to find affordable, less disruptive ways of insulating large numbers of solid wall housing and this offers a significant opportunity for job creation and growth in the wider UK economy. The technology in the home will need to be managed and updated and this will see the growth in new service offerings that will maintain the performance of the home in a similar way to the role that the garage plays in helping keep your car on the road. As homes move towards zero carbon and on to carbon positive, a series of exciting opportunities will emerge. The home will be able to become the fuel station for the car, charging its batteries with clean solar energy. Solar hydrogen panels will provide the fuel for a cars hydrogen fuel cell, with the same system used to power and recharge the home when the car is in the garage. Technologies that store thermal and electrical energy will develop rapidly and will remove the concerns that customers may have about the intermittent nature of renewable technologies. Timber used for construction will continue to expand, but there will be an increasing demand for locally grown timber that creates forestry jobs in the local market and where the value added through converting lumber into timber products benefits the local economy. In areas like the UK where land for forestry is restricted this is likely to drive the development of engineered timber products like Structural insulated Panels (SIP’s) and structures made from round wood, forestry thinning’s, will use limited amounts of material in very structurally efficient arrangements. Timber waste will be converted into wood flour or chippings and used in combination with recycled post-consumer waste plastics to form a range of extruded sections that will be able to be used for both structural and non-structural application. Waste paper and card will be used to make high performance structural tubes, achieving the carbon sequestration benefits of timber while reprocessing and upcycling locally derived waste. Ultimately the notion of waste will become obsolete, with all material reprocessed to create new, high value products, creating jobs and helping to grow our local green economy. Manufacturing technologies including 3D printing and CNC machining will allow manufacturing to be relocated from the Far East and undertaken within local markets once more, saving cost, time and emissions associated with existing long logistics supply chains. New manufacturing technology will offer the possibility for products like flat pack furniture to be designed and manufactured in store, allowing all customers the opportunity to become designer, customising products to satisfy their own unique requirements. Ultimately I believe that we are on the threshold of a new age where homes are designed not simply to provide shelter but to make a positive contribution to the economic and environmental as well as the physical wellbeing of occupants. This will demand new solar settlements, innovative residential design and integrated and intelligent utilities. 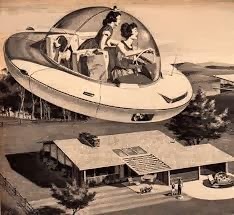 If anyone out there fancies joining me in the quest to develop the FutureHaus, along with the settlements that it will create, please give me a call!